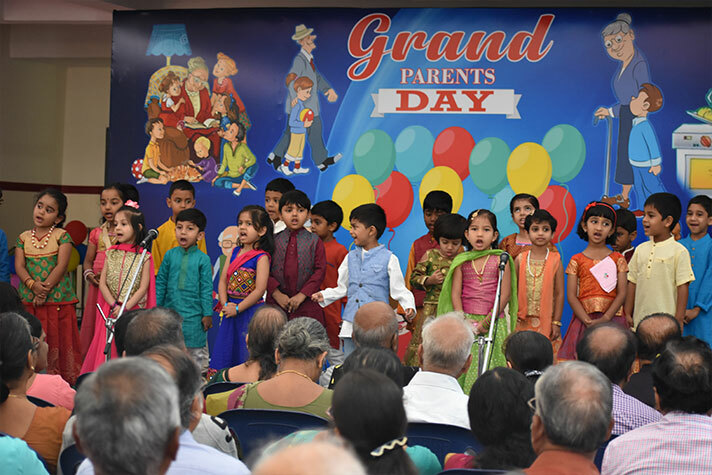 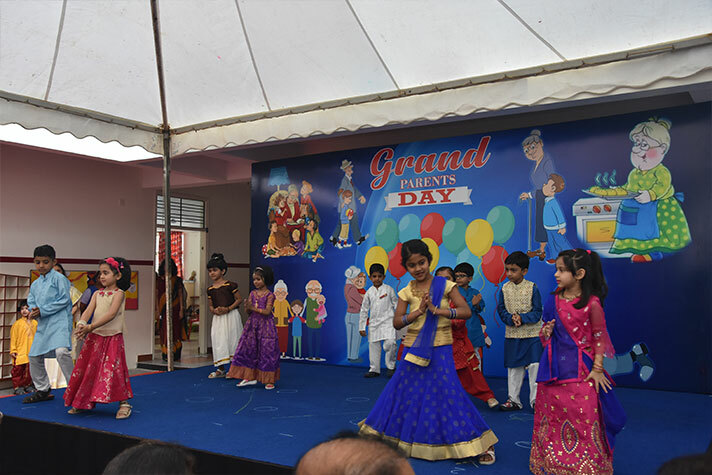 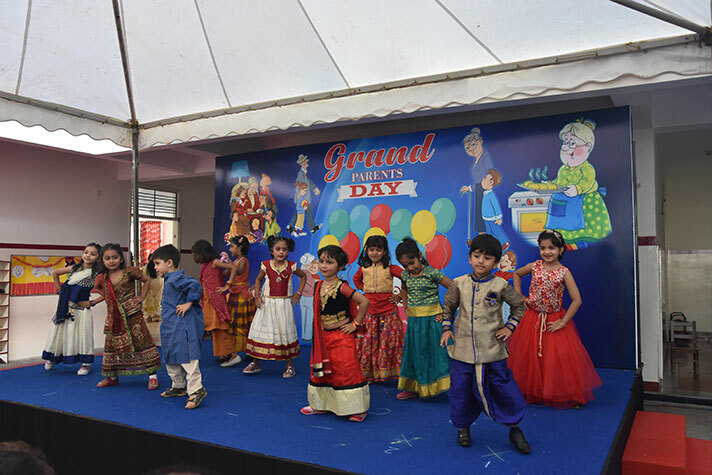 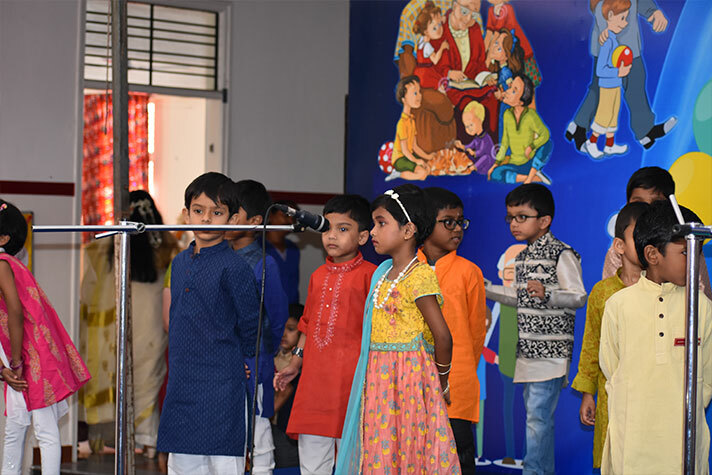 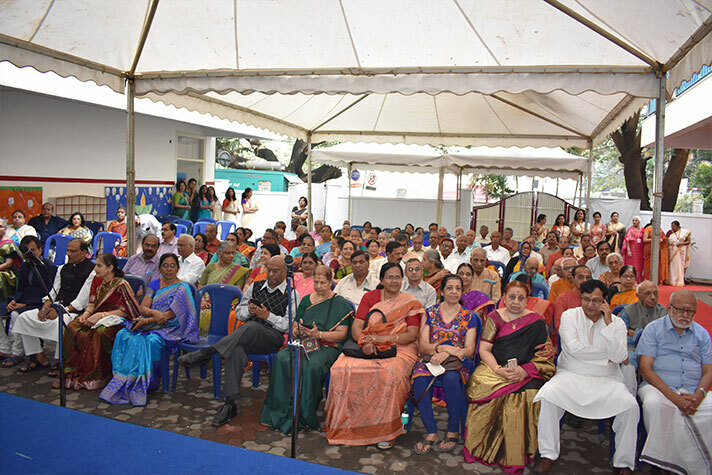 Grandparents day was celebrated by KG students on 24th November 2018 (Saturday) with a subtle mix of reverence and gay abandon. 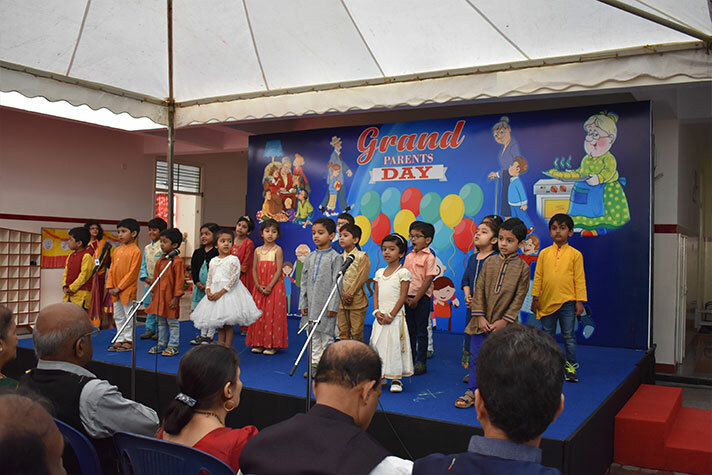 The children basked in grace and blessings of the grandparents as they looked on with indulgence at their grandchildren display their multiple talents in a variety of ways. 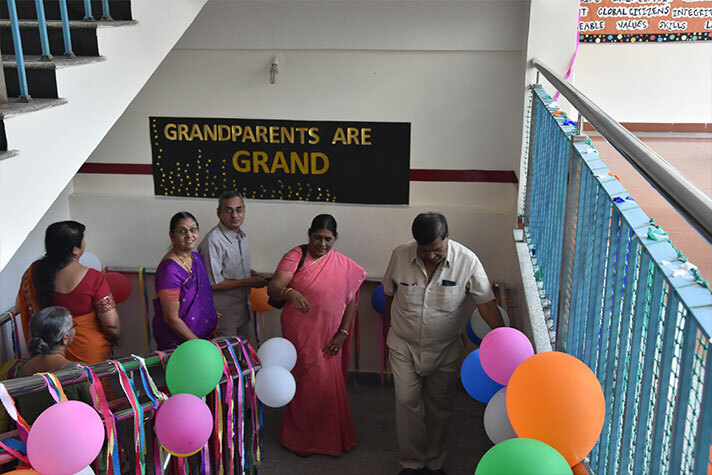 The grandparents were overcome with emotion at the welcome they received on their arrival. 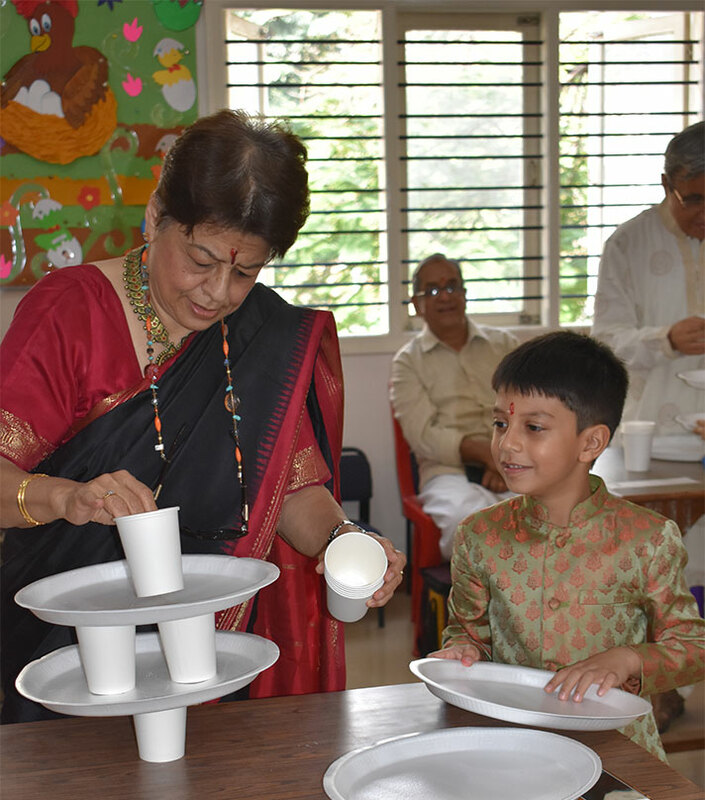 Tilak was applied on their foreheads as a mark of respect, and rose water sprinkled on them with impish delight. 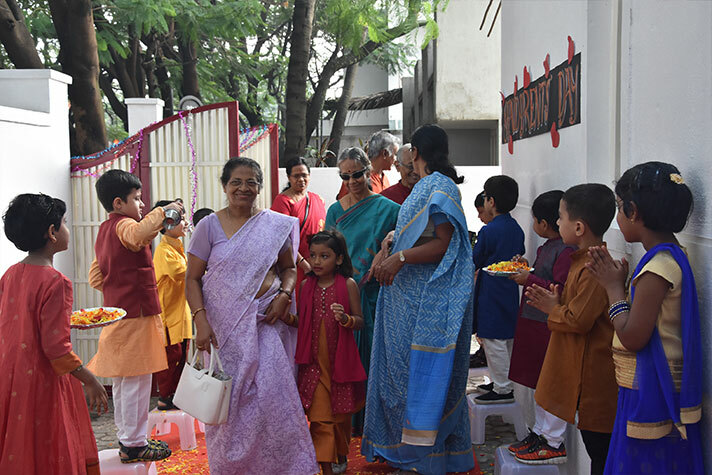 However, what really touched the grandparents was their being greeted by the little ones by shower of flower petals. 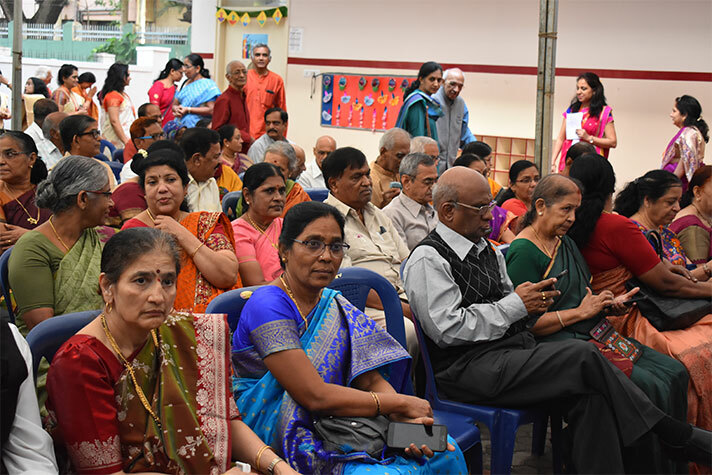 Adding colour to the proceedings was the traditional dress theme for grandparents and grandchildren, which ensured a kaleidoscope of bright colours to brighten up the mood. 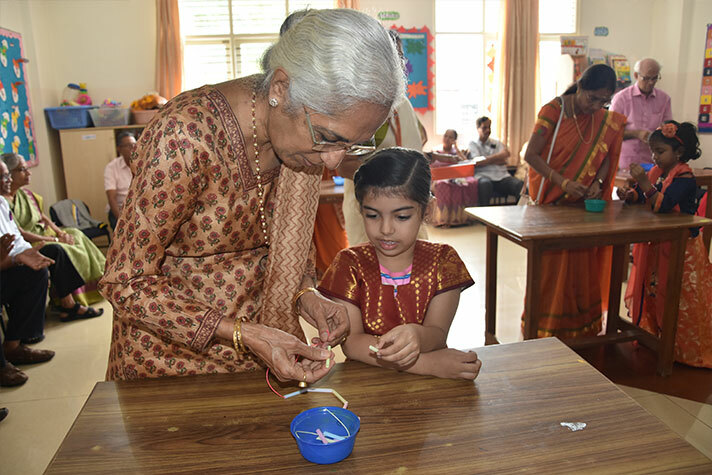 To add a touch of innovation, students greeted the grandparents in their mother tongue. 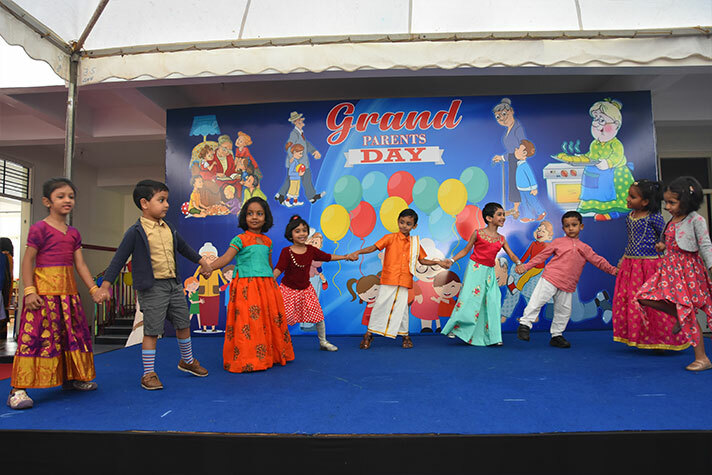 They also went a step further and danced and sang for their grandparents. 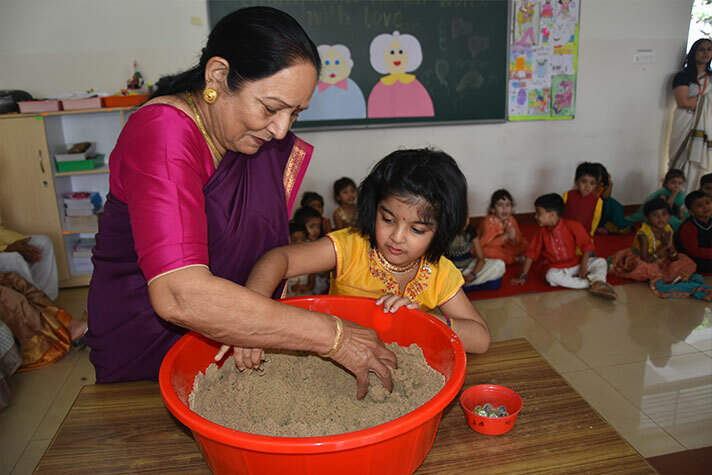 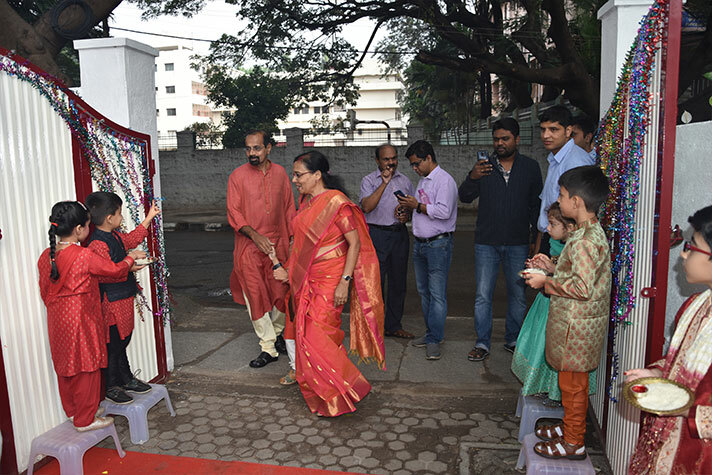 This was followed by various fun activities done in the classrooms, during which the grandparents relived their childhood by letting their hair down in games where they partnered their little ones. 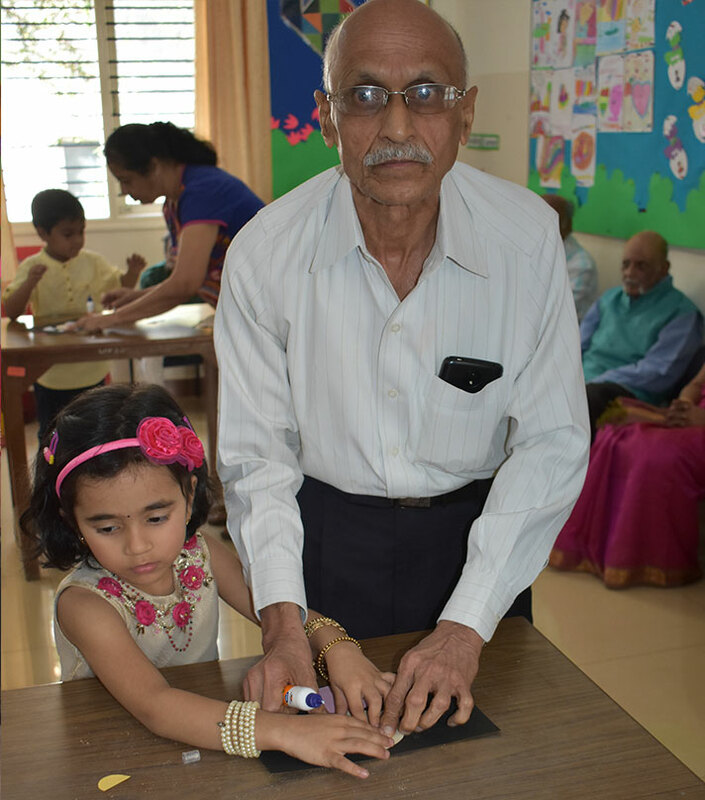 The icing on the cake was the students taking away photo frame made by the grandparents, containing their joint photograph, to be preserved for posterity.